RUSH: I want to read to you the headline for a pilot — an actual upcoming pilot — for a new CBS prime-time TV show. “White Dad Widowed After White Cop Kills His Black Husband.” You think that’s gonna clean up prime-time ratings? They do. 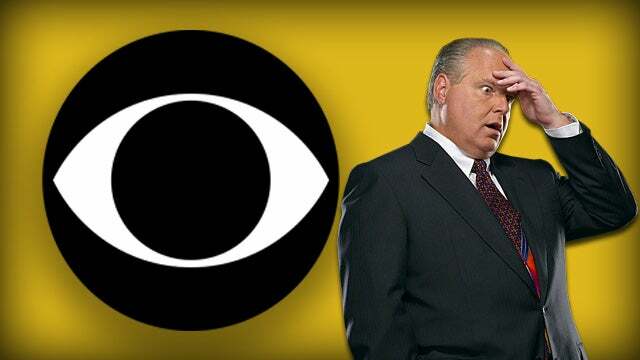 RUSH: Here’s CBS. They’re producing a pilot for a new prime-time TV show. You know, they run the pilot, they see how it airs, and if it goes well, then they order a series from it. In some cases, the pilot is something that will air… They buy these things in different ways. Sometimes there’s something called a straight-to-series order. So a favored producer and writer will pitch the network a concept and they’ll like it so much they’ll buy it. They’ll schedule it in the prime time schedule. Other producers and writers don’t have the weight, so they have to cut a pilot, show that to the network. The network says, “Yeah, you know what…?” Or “That stinks. Take it away from here,” and they’re gone. I don’t know what the case is with this, but I think this is going to air. But the pilot that CBS is working on, “White Dad Widowed After White Cop Kills His Black Husband.” Somebody out there had to come up with this premise. Somebody out there had to think that this is going to knock ’em dead in America. This is sort of like a replay on that movie Crash. Have you ever seen the movie Crash? That sounds like what this is. There’s one event, and they’re not just gonna focus on… (laughing) They’re gonna focus on three different families affected. You’re not gonna be able to escape if you watch this.